A friendly and challenging competition of both speed and accuracy. 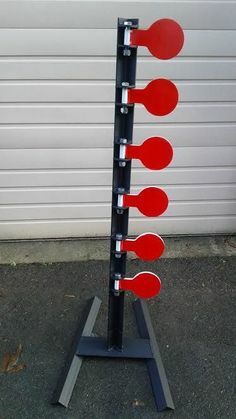 A steel tree is a type of steel target that has a tower with 5-6 circular targets on a hinge. When these targets are shot the energy from the bullet spins the target from one side to the other. In this competition you will go “head to head” with another shooter and try to shoot all the steel plates on your side of the tree. While you attempt push those targets to your competitors side, your competitor will be shooting targets back to your side. First person to eliminate all targets from their side wins.